As humans, our sense of smell is a crucial element of attraction. Smell has a strong bond with memory—it’s why romance films show the forlorn hero smelling the sweater or pillowcase of a long lost lover. Aromas elicit emotional responses. But are there aromas that stimulate initial, physical attraction in the brain? In other words, is it possible to create a love potion through scent? While we may not know why or how aromas affect attraction just yet, there’s certainly historical evidence for aromas of love or “love potions.” Botanical aromas have been associated with love since antiquity. Orange blossoms (neroli) and jasmine in particular have deep roots in romantic history. The breeze is on the sea"
Neroli essential oil is created by steam distilling the blossoms of the bitter orange Citrus aurantium (L.) var. amara, and its aroma has been associated with royalty and beauty for centuries. It is said that the word neroli is derived from the name of the Italian princess of Nerole, Anna Maria de La Tremoille (pictured right). Neroli was her favorite oil, and it soon became her “signature” scent. Additionally, orange flowers have long been associated with fertility and weddings. Brides have traditionally worn headdresses adorned with orange blossoms. It’s also possible that neroli C. aurantium may promote emotions of love and passion because it naturally encourages a healthy, peaceful mood and can help manage stress. On the simplest level, a calm, peaceful mood is naturally more open to attraction and new relationships. Check out the Apothecary Shoppe’s Organic Neroli Essential Oil featured on a popular lifestyle website here! Jasmine Jasminum sambac (L.) has long been associated with love. Even it’s name, derived from the Persian word yasmin, or “moonshine in the garden,” drips of romance. Legends tell that Cleopatra (pictured below) wooed Marc Antony with its heady, floral aroma. In India, jasmine flowers are traditionally used in wedding garlands, decorations, and scattered across marriage beds. As a floral scent often used in perfumery, there may be reasons why jasmine elicits feelings of romance—jasmine is a known stimulant and can possibly stimulate memory. One study examined the effects of jasmine J. sambac inhalation on brain wave activity and emotions. The study concluded that jasmine had an effect on the nervous system and could affect brain wave activities and mood states. An older but relevant 1992 study examined whether ambient odor could serve as a cue for retrieval of verbal stimuli. Forty-seven subjects memorized words while simultaneously inhaling jasmine, or a perfume. After two days, the researchers found that the recall of the subjects exposed to the aroma was better than those not exposed. With memory so closely related to emotion, there may be something within jasmine that triggers nostalgia and memory—two possible ingredients for attraction. This is speculation of course, but it’s fascinating to see how aromas affect our brains and bodies. Again, a healthy, happy, and emotionally balanced spirit will emit energy that attracts equally positive energy… a desired advantage when looking for love. Check out the Apothecary Shoppe’s Jasmine Sambac Absolute featured on a popular lifestyle website here! Blend the essential oils and apply externally as frequently as required. Note: J. sambac can be substituted with J. grandiflorum. Smith, D.G., Standing, L., & De Man, A. (1992). Verbal Memory elicited by ambient odor. Percep Motor Skill, 74:339-343. 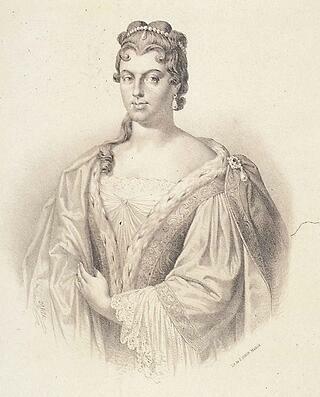 Marie Anne de La Trémoille, Princess of Nerole. Public Domain. 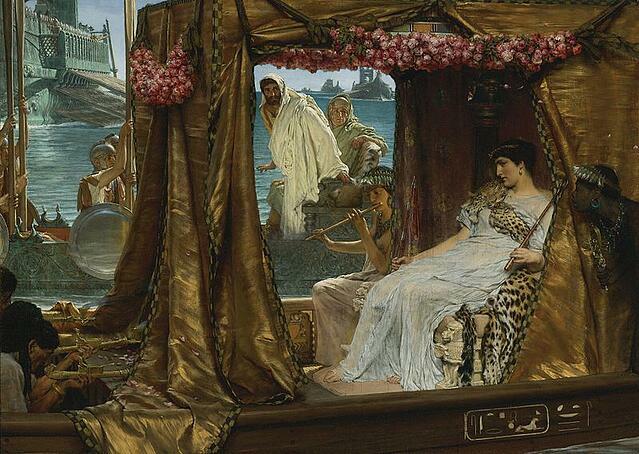 Antony and Cleopatra, by Lawrence Alma-Tadema. Public Domain.